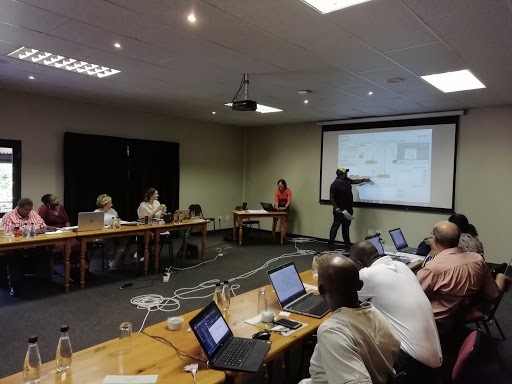 Between February 24th and March 1st, CLARIN-PL representatives Justyna Wieczorek and Jan Wieczorek visited the University of South Africa (UNISA) and South African Centre for Digital Language Resources (SADiLaR), South Africa. 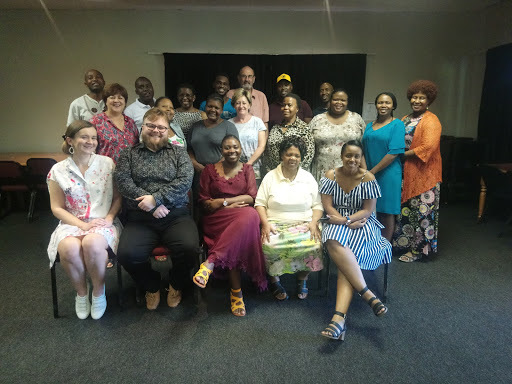 The main purpose of their visit was to conduct a workshop at Leriba Lodge (Centurion) on the use of the WordNetLoom tool for the development of African Wordnet. The second goal concerned consultations regarding further cooperation between CLARIN-PL and The South African Centre for Digital Language Resources (North-West University, Potchefstroom). The organizer of both meetings was SADiLaR. During the first part of the visit, workshops were held to support the creation of African Wordnet. The WordNet Loom tool is an editor of lexicographic data, thanks to which it is possible to create wordnets in a simple way also available to lexicographers without IT knowledge. The tool was adapted to the needs of the AWN team by the CLARIN-PL consortium. The main organizers of the workshop at Centurion were prof. Sonja Bosch (UNISA) and Dr. Marissa Griesel (UNISA). The training was provided by Justyna Wieczorek and Jan Wieczorek. Twenty two linguists representing nine different African languages attended the workshop, which resulted in the preliminary elaboration of several lexico-semantic fields for the future expansion of the already existing African WordNet. During the second part of the visit, Justyna and Jan were hosted by the SADiLaR hub located at the North-West University in Potchefstroom. The main organizer of the meeting was Dr. Roald Eiselen, a technical manager. As part of the visit, the teams shared experience and practice in the fields of user involvement activity and promotion of NLP-related initiatives in the scientific community. The topic of cooperation between SADILAR and CLARIN-PL was also discussed. At the end of the visit, Jan gave a lecture concerning the topics of CLARIN ERIC/CLARIN-PL activity and the resources and tools provided by these institutions. About 14 NWU employees and students took part in the seminar. 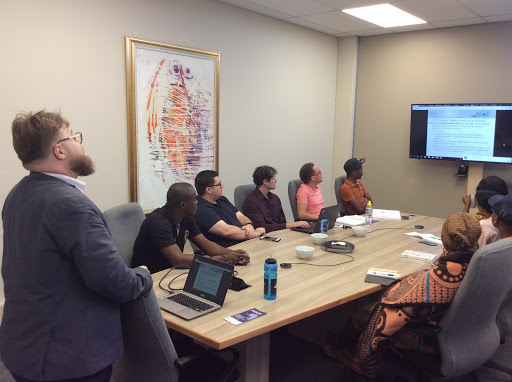 The most important effect of Justyna and Jan's visit to South Africa is the training provided to the AWN linguists team on the use the WNLoom tool, which can significantly improve further work on the dictionary. It was also important to compare the offer of CLARIN and SADILAR consortia and to draw up a plan for future cooperation between the institutions. The visit was very fruitful and the contacts between the centers gained a practical value thanks to it. The initiated cooperation will undoubtedly be continued.